We all have dreams when we’re young children. Professional athletes get to do the thing they’ve dreamed of since they were a kid. 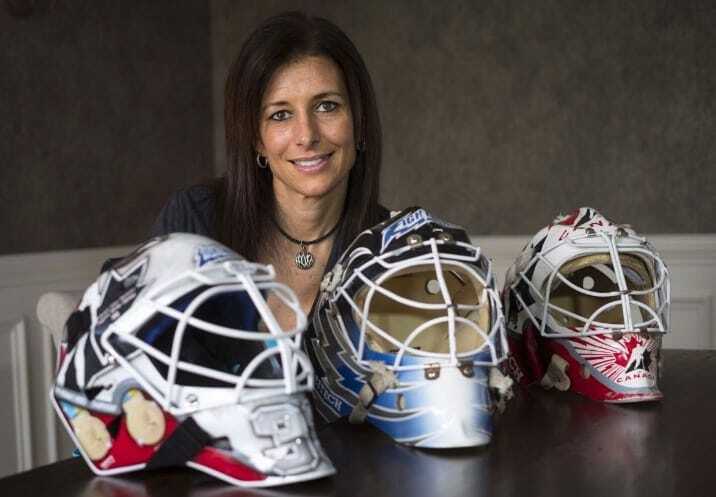 We can’t all be professional sports stars, but one woman, Manon Rheaume, was determined to fulfill her goal. Rheaume wanted to play in a men’s professional hockey league, but there was a barrier, she was female. That didn’t stop Rheaume dreaming, and after working incredibly hard she fulfilled her dream. When she was young Rheaume became the first female to play for a boy’s team in the Quebec International Pee-Wee Hockey Tournament. That lit a fire under her, and she was determined to make it in the men’s game. If she was good enough, then why should her gender matter? Rheaume played in goal and was the first female to play in the Quebec Major Junior Hockey League. As she got older, she realized she had the skills to compete with guys, so the next stop for her was to find a professional men’s team to play on. In 1992 Rheaume signed a contract with NHL franchise Tampa Bay Lightning. She would play in exhibition games and proved she was more than worthy of her spot. In a game against the St. Louis Blues, she only let in two goals from nine shots. This was a first, but it wasn’t the competition that Rheaume wanted, she wanted to play in a league game. The minor leagues were calling, and it was time Rheaume found her place in the sport. Rheaume signed her first professional contract with the Atlanta Knights in 1992. Her new team played in the International Hockey League (IHL), and while it was a minor league, it was definitely professional. Rheaume was now the first female player ever to get game time in a men’s professional league. She played in the IHL for several seasons, before getting pro games in the East Coast Hockey League. Some argued that Rheaume was only selected because she was a girl, suggesting it was a publicity stunt. When asked, Rheaume said she didn’t care. All her life she had been told she wasn’t allowed to play at higher levels because she was female. If someone hired her because she was a girl, then she was all for it. Rheaume played as a goalkeeper, but another woman became the first female to play at a position other than goalkeeper for a pro team. Angela Ruggiero played for the Tulsa Oilers in 2005, and in the final game of the season, she registered an assist. That assist made her the first woman to ever register a point in men’s professional ice hockey. Manon Rheaume knew that when she stepped onto the ice in her first men’s pro game, all eyes would be on her. She dealt with the pressure and showed the world that if you are good enough, it doesn’t matter what your gender is.